Saint Mark's Church welcomes the film industry. We have been featured in multiple projects, most notably "Desperate Housewives" and "The Mentalist." Saint Mark's was designed by the prominent ecclesiastical architect Carleton M. Winslow in 1947 as a poured concrete Gothic revival church in a vaguely Spanish style. The exterior is almost severely plain with the impressions of the wooden frames still visible in the concrete. Its most notable features are its spire, rising over 100 feet in the air, and its ornate Gothic facade. To make arrangements to look at our site for the possibility of being used in one of your projects, or for more information about Saint Mark's, please contact Elaine Loke, Parish Administrator, at 818.240.3860, ext. 101, or by email to elaine@saintmarks.la. The interior features a high-ceilinged nave and a chancel and sanctuary that are richly adorned with carved wood furnishings. 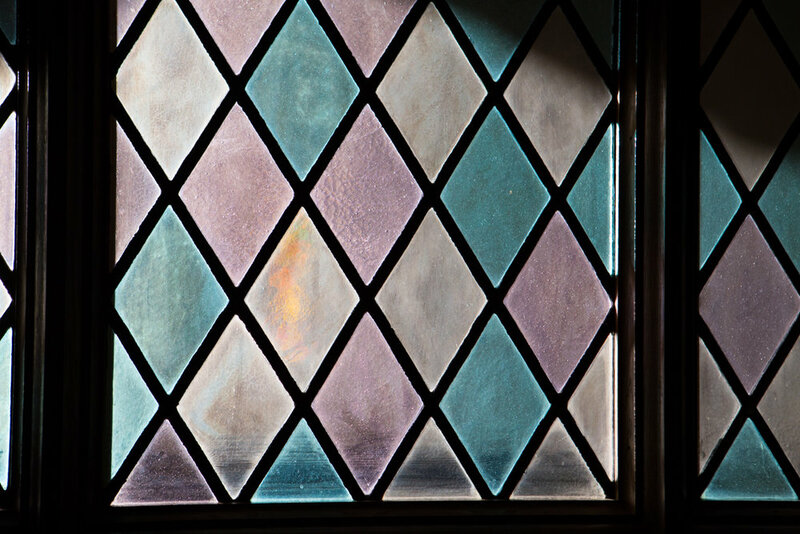 The stained glass throughout the church was produced by the Judson Studios of Highland Park, one of southern California's oldest and most highly respected stain glass studios. Particularly beautiful is the Te Deum window above the altar which portrays Christ and Saint Mark the Evangelist, flanked by a number of Anglican saints and notable Episcopal clergymen, including several bishops who played a role in the history of Saint Mark's Church. The chapel to the right of the nave was dedicated to those who gave their lives in defense of the country in World War II, including six servicemen connected to Saint Mark's. The chapel altar is the altar of the old church first given to Saint Mark's by the Women's Auxiliary of the Diocese in 1903. The furnishing and decoration of the interior of the church as it appears today were mostly completed by the mid-1950s. Over the years, there have been several additions to the interior decor, most notable being the painted triptych above the altar created by artist Rhett Judice and installed in the church in 2002. The large parish hall was built in 1954. 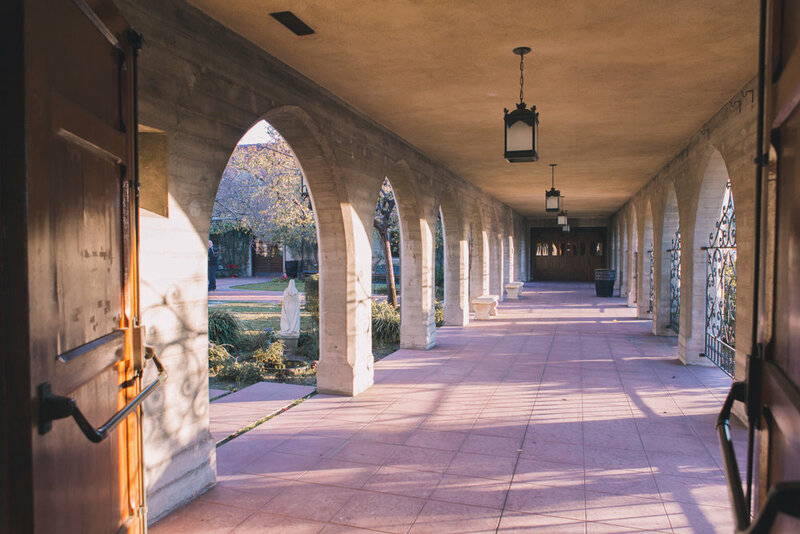 The front cloisters were completed in 1962, enclosing the courtyard according to the original Carleton Winslow master plan. The courtyard was redesigned and dedicated as a memorial garden in 2004, creating a space of beauty and peace perhaps unequaled in the city.